PLEASE NOTE ACCOMMODATION AT THE CONFERENCE RATE IS NOW ONLY AVAILABLE BY REQUEST ONLY. WE NOW CAN NOT GUARANTEE THE AVAILABILITY OF ROOMS. Block bookings of accommodation have been made at properties near The Shine Dome. All prices will be in Australian Dollars (AUD) and include GST. 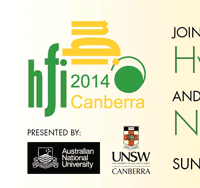 The rates quoted for accommodation are specially negotiated rates for delegates of the HFI/NQI 2014. Unless indicated otherwise on this page, please do not contact the hotel directly to make accommodation bookings as the negotiated special rates can only be accessed by booking through Consec - Conference Management. 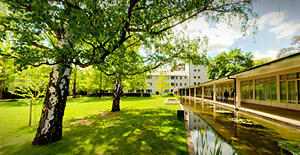 Accommodation can be booked at the same time as registering for the conference. Please provide credit card details, which will be forwarded to the hotel directly to secure your accommodation room, in accordance with the accommodation booking conditions. Please check the appropriate box on the registration form to authorise the forwarding of your credit card details to the hotel. Please take note of the conditions of booking for each of the hotels as provided below. Any requests to change a booking MUST be made in writing to Consec - Conference Management. Please Note: Bookings made after 21 August 2014 cannot be guaranteed. Set within a leafy enclave, University House offers guests a sanctuary from the hustle and bustle of the city centre, while only a short stroll from all its attractions. Conditions of booking: A valid credit card is required to secure an accommodation booking. No show/cancellations within 30 days maybe charged the total value of the accommodation booking. Please note your accommodation booking may be subject to a credit card surcharge fee (charged by the hotel). 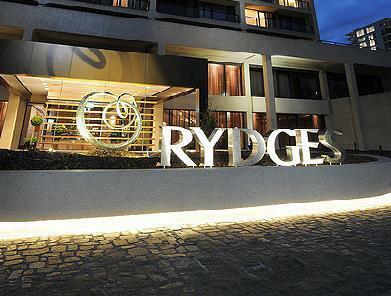 QT/ Rydges Lakeside Canberra, a hotel of tradition and warmth, boasts a city centre location on the shores of Lake Burley Griffin. The hotels prime position, spectacular views and exemplary service ensure that guests are treated to a memorable stay in the Nation's Capital. Conditions of booking: A valid credit card is required to secure an accommodation booking. No show/cancellations within 30 days, will be charged the total value of the accommodation booking. Please note your accommodation booking may be subject to a credit card surcharge fee (charged by the hotel).